Having accurate colors on your display screen is highly imperative in order to truly optimize your photographs. Many people often forget that different monitors can have different settings, thus producing different hues of what is actually the same color. Because of this, what appears vivid and vibrant on your screen may not actually be so, if you haven’t calibrated your screen. With a display calibrator, you can make sure that the colors on your screen are right and accurate. 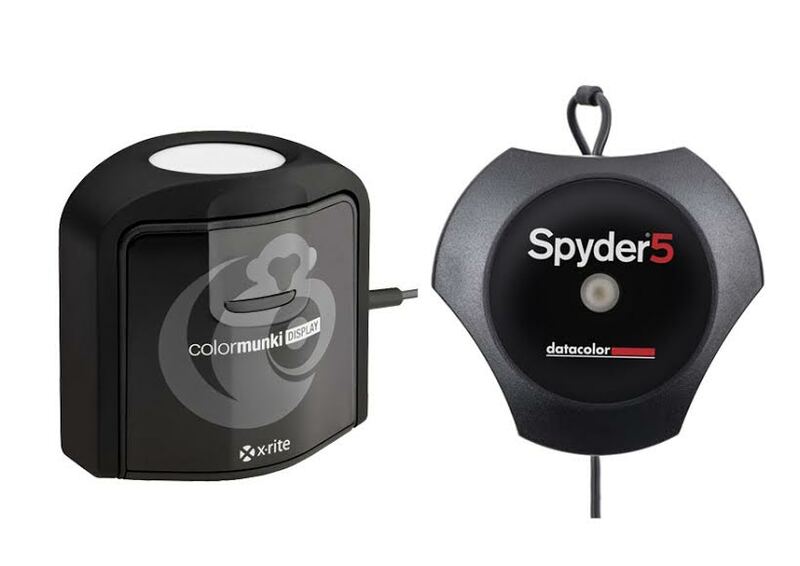 There are two products standing in the same price range that you can consider: X Rite Colormunki and Spyder 5 Pro. Both are widely used by beginners and experts – how do the two compare against each other? Both models here perform calibration by measuring 70 colors and performing multiple gamma and temperature monitoring. Both models support ICC 2 and ICC 4 profiles. However, X Rite Colormunki indeed works faster than Spyder 5 Pro. While Spyder 5 Pro roughly takes six minutes for a calibration, X Rite Colormunki only needs about five minutes. In addition, Spyder 5 Pro has 120 Cd standard luminance, whereas X Rite Colormunki has presets ranging from 80 Cd to 140 Cd. Users also mention that the sensors of X Rite Colormunki are more accurate and precise than Spyder 5 Pro . Spyder 5 Pro is able to perform ambient light measurement and calibrate to match multiple monitors. Well, X Rite Colormunki can also perform those things, in addition to the RGB control calibration, Automatic Display Control, and Flare Correct. X Rite Colormunki can be used to calibrate display screens, mobile devices, and projectors, whereas Spyder 5 Pro is exclusively for display screens. The wider compatibility makes the device much more useful and versatile. X Rite Colormunki supports more panel types than Spyder 5 Pro, including White LED, RGB LED, and Wide Gamut panel types. Finally, we recommend you to choose X Rite Colormunki over Spyder 5 Pro. It has faster, better performance and more features. The capability to calibrate mobile devices and projectors is also highly beneficial.